Gilles with his first two barrels of Montanya rum. 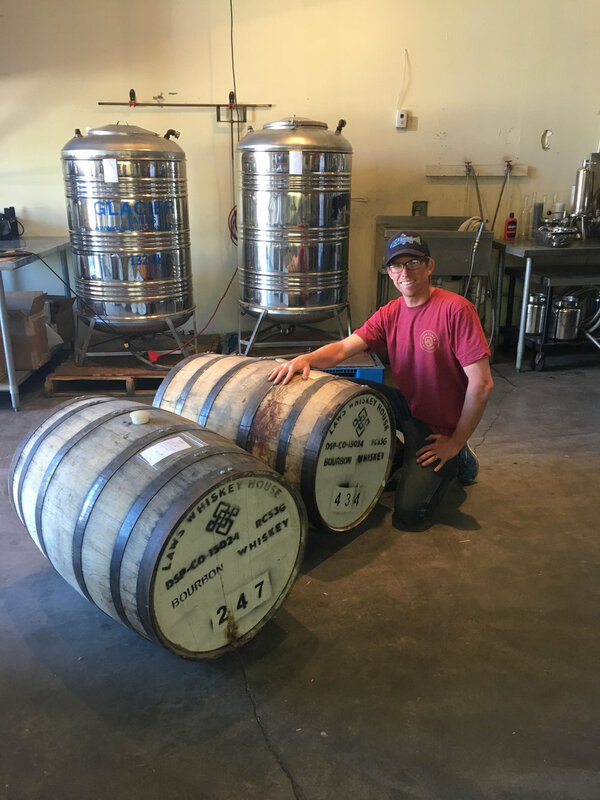 Gilles Huegi moved to the Gunnison Valley from Ashland, Oregon in June 2017, and is a full-time distiller here at Montanya. He also works within the barrel house where he organizes barrels, tastes the upcoming batches, proofs and readies rum for bottling, and partitions ingredients for our distilling days. He enjoys giving tours at our tasting room and informing people of our ingredients, process and love for the craft of making world class rum. Gilles was born in Meilen, Switzerland, a small farm town outside of Zürich, and he lived there until he was 12, when he moved to the United States with his mother. The rest of my family still lives in Switzerland, and he visits as often as he can. 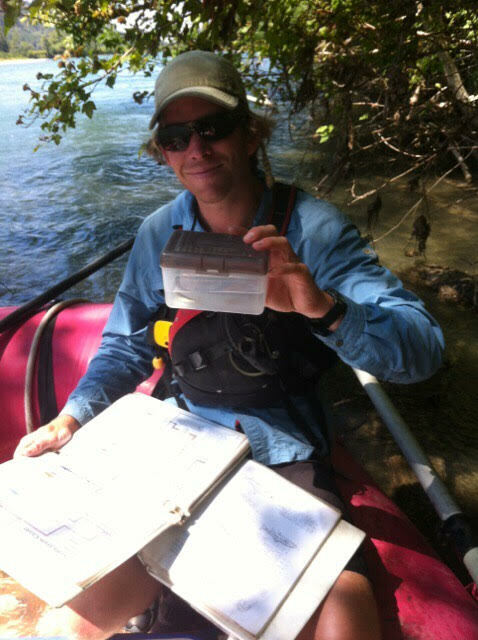 ID'ing fish for a river and stream survey. With a Bachelor's degree in Wildlife Management & Conservation from Humboldt State University, Giles spent 7 years after college working as a Fisheries Technician for agencies such as the EPA, the Washington Department of Ecology, U.S. Fish & Wildife and various private organizations. He developed a love for fermentation back in college where he started home brewing. During the winters, he would volunteer and hone his skills at various breweries around southern Oregon. He eventually became an assistant brewer at Portal Brewing Company in Medford, OR. Gilles has enjoyed making the transition from brewing beer to distilling rum, and the process has added a new element to a familiar craft for him. To him, distilling is a such a joy because he is able to blend his science background with a craft that is reliant on a sense of art. Gilles' grandfather was a big artist, and so being able to express his artsy side through creating wonderful spirits brings Gilles great joy. Enjoying a sunset on the Deschutes River. When he's not obsessing over fermentation, science, and the art of distilling, he can usually be found doing some sort of activity in the mountains or rivers. His passions are whitewater kayaking, backpacking with his wife and dogs, and bowhunting, and during the winter months, he's usually out looking for powder stashes on his snowboard, or on the ice, playing hockey!